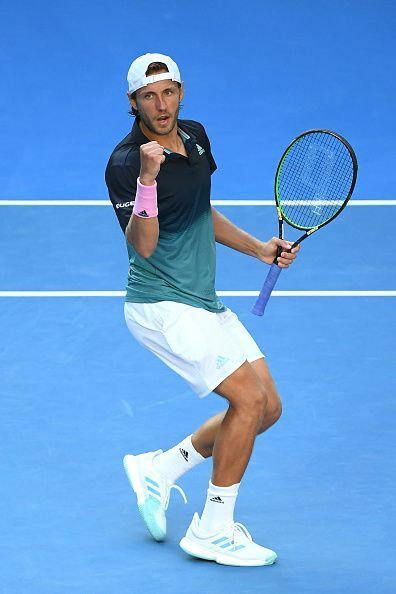 Like Danielle Collins on the women’s side of the draw, the 28th seeded Frenchman Lucas Pouille has been the surprise package on the men’s side of the draw at the Australian Open 2019. He has now ventured into uncharted territory by reaching his first ever Slam semi-final. On the way there, Pouille has accounted for two higher-ranked players. In the fourth round, he got the better of the young Croat Borna Coric and in the quarters, he has had his biggest scalp of the tournament in the form of Milos Raonic. This was Pouille’s fourth match against Raonic. He had not only lost all his previous encounters to the Canadian, but had never even managed to take a set off him. Here, however, he won three sets out of four and registered his biggest success at the Grand Slam stage yet. The second half of 2018 had seen unimpressive returns from the Frenchman, which resulted in a drop in his ranking. But he seems to have rediscovered his mojo under new coach Amelie Mauresmo. Just as Andy Murray’s career had seen an upswing under Mauresmo, the early signs are quite encouraging for Pouille. Pouille has shown a lot of maturity so far and has soaked the pressure well. His five-set win against Alexei Popyrin and the come-from-behind win over Coric are testament to his newfound confidence and ability to extricate himself from tough situations. Even against Raonic, he seemed to be struggling in the initial stages of the match. But after going down a break, he raised his game to take the first set. In the context of the match, the fightback shown by him in the opening set was extremely crucial. Though he lost the third set in a tie-break, he was back to his combative self in the fourth set to take the match in four sets. Pouille's serve has been exceptional throughout, and bailed him out of several difficult situations. Against Raonic, he managed to win 83% of his first serves. He will need to continue his good serving form against his semi-final opponent, Novak Djokovic, who is arguably the best returner in the game’s history. The World No. 1 from Serbia had an unexpectedly easy outing in his quarterfinal match as the Asian No. 1 Kei Nishikori retired mid-way through the second set after going down 1-6, 1-4. Having had to spend nearly 14 hours on court in the first four rounds had clearly taken a toll on the Japanese. Though it was an unfortunate way for Nishikori to exit the Australian Open, this is also bad news for Pouille. 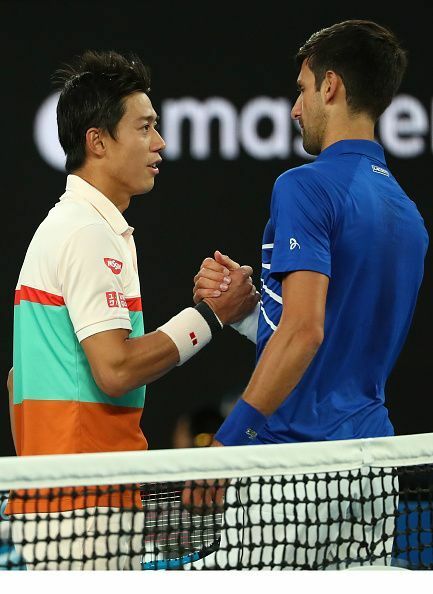 Djokovic, who was clearly feeling the exhaustion of a long and arduous match in the fourth round against Daniil Medvedev, will now be properly rested and raring to go in the semi-final. Djokovic has not looked at his very best in the tournament. He has lost a set each to young players like Danis Shapovalov and Medvedev. Pouille would definitely take heart from those matches. 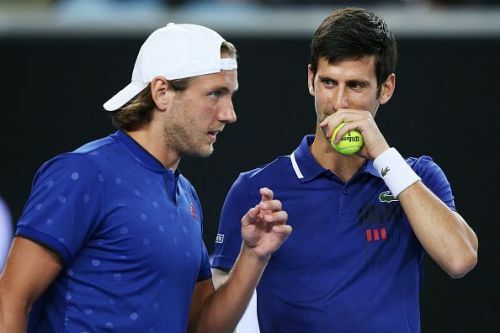 Unlike many older players on the tour, Pouille does not carry the scar of defeats against Djokovic as this will be the first time he plays the Serb. His coach Mauresmo is quite familiar with Djokovic’s game too, as she was Murray’s coach during several of his encounters with the 31-year-old. She would definitely want to ensure that Pouille comes in tactically prepared to counter Djokovic. But it is one thing to prepare and quite another to actually play a World No. 1 who has set his sights on a third straight Grand Slam title. Prediction: Djokovic to win in four sets.